The Panini NBA Player of the Day Promotion runs Monday, March 5th through April 3rd! Step 1 – You can enter by purchasing a pack of 2017-18 Panini brand NBA Cards. This includes popular brands such as Donruss, Hoops, Revolution and others. There is a no-purchase-necessary option as well (ask us to see the official rules for details). Step 2 – To win, you must open a pack of cards you have purchased in front of a store employee. If you “pull” the highlighted Panini NBA Player of the Day or any of the Wild Cards (Damian Lillard, Kyrie Irving, Kevin Durant) you are a daily winner and will receive two special promotional packs on the spot. You can also become an automatic daily winner by purchasing a box of any eligible product. Each time you are a daily winner you earn one raffle entry towards being that week’s “weekly winner”. You may only be a daily winner once a day and up to seven days a week. Step 3 – Four times during the promotion we will randomly select one of the daily winners as a weekly prize winner and award a prize package from a kit provided by Panini. Weekly winners will then be put into a raffle to win the store’s grand prize, an autographed Andre Drummond card. Step 4 – At the conclusion of the 30-day promotion, we will randomly select one of the four weekly winners as the store grand prize winner. 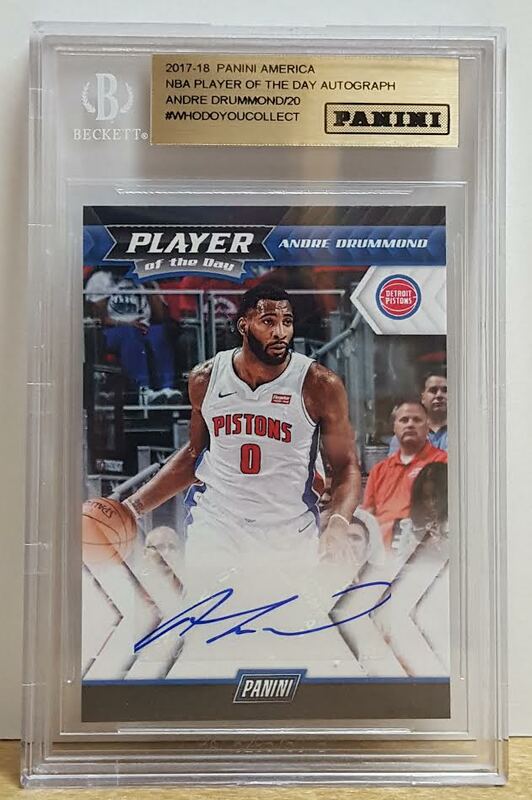 The winner will be awarded the grand prize, an autographed Andre Drummond card, and entered into the Panini national sweepstakes where they have a chance to spend a day with an NBA player and a $250.00 shopping spree at Fanfare! 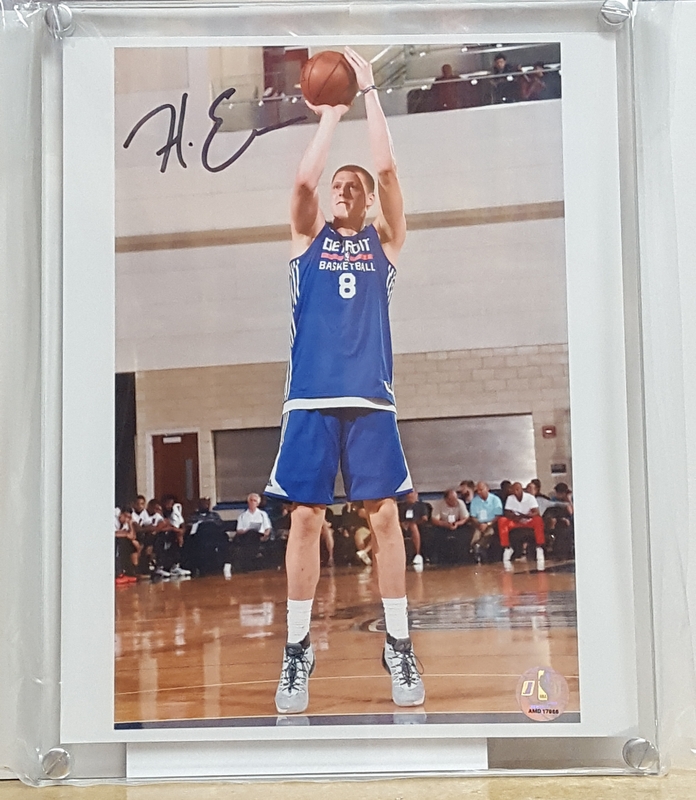 Step 5 – After we have selected our grand prize winner, we will then do a drawing for our runner-up prize, an autographed photo of Detroit Piston Henry Ellenson! All of our daily winners, with the exception of our grand prize winner, will be entered in this drawing!